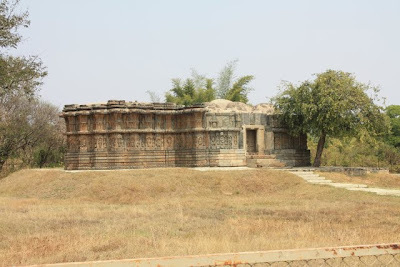 'Nagalapura' is a village located in Turuvekere taluk , Tumkur district. 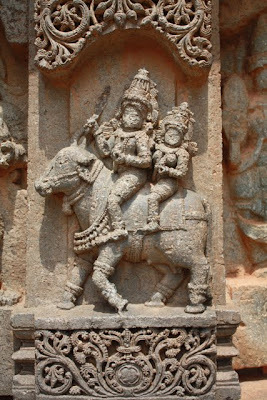 This place is almost unknown but has two significantly beautiful and ornate Hoysala temples, which probably would have been grand like any other Hoysala temple, but today is nothing but ruins. 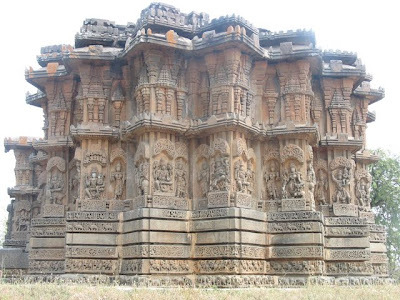 Nagalapura was a prosperous town under the Hoysala rule, whose grandeur can be felt when we look at these temple . 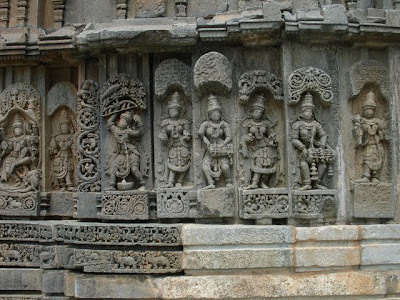 Like most of the Hoysala towns, this too has a temple dedicated to Lord Shiva (Kedareshwara) and another temple dedicated to Lord Vishnu (Chennakeshava). The Kedareshwara temple is situated at the entrance of the village. 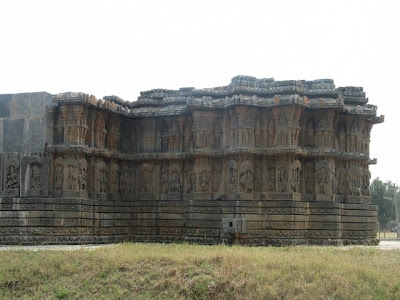 This is bigger than the Chennakeshava temple though both have the same plan of construction. 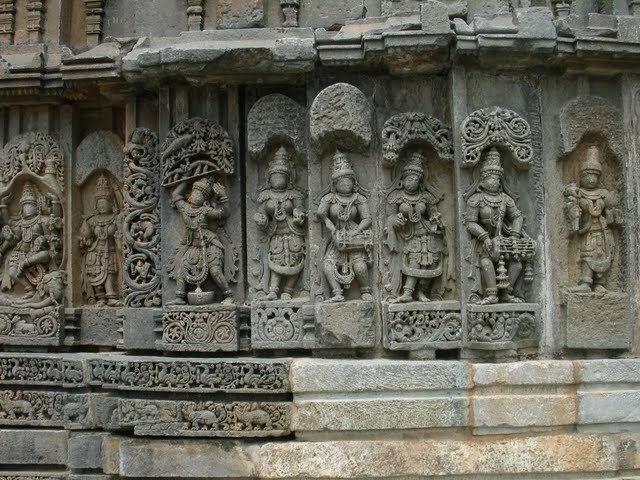 The Kedareshwara temple is just like any other Hoysala temple in shape and design. 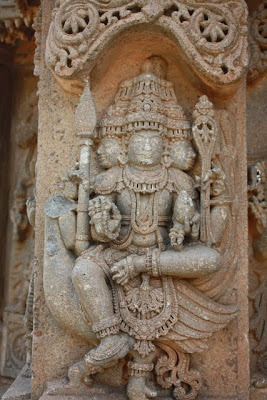 It has five pattikas. 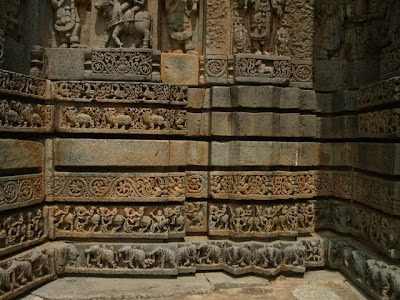 The outer walls have amazing sculptures of Lord Shiva depicted in his various forms and vahanas(vehicles). The one among various forms of Lord Shiva is the Gajantaka, which is a destructive form taken by him to over come the elephant demon Gajasura. 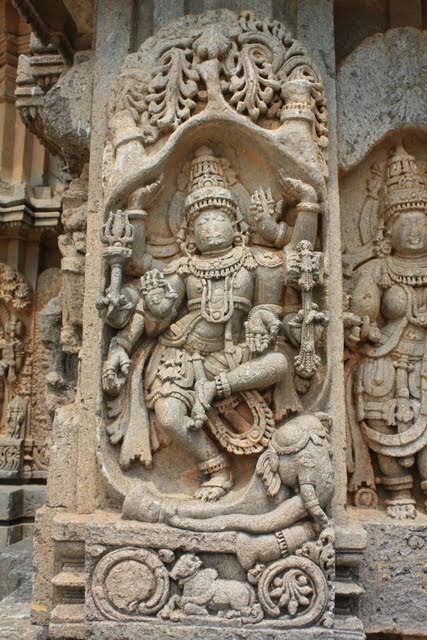 This demon, created by the sages of Darukavana terrified gods and the people. 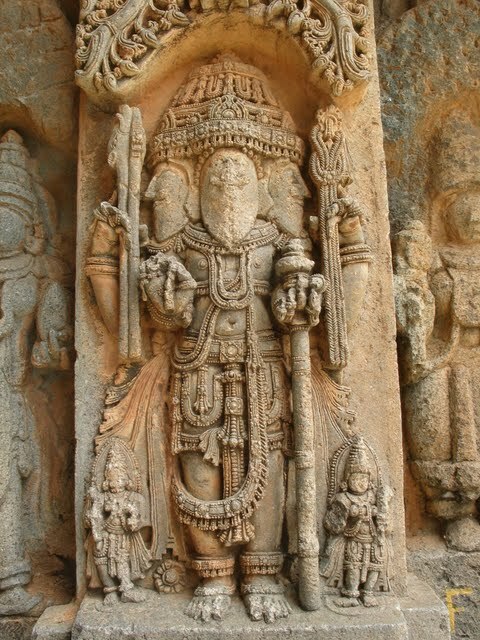 Gajantaka is believed to bring prosperity. 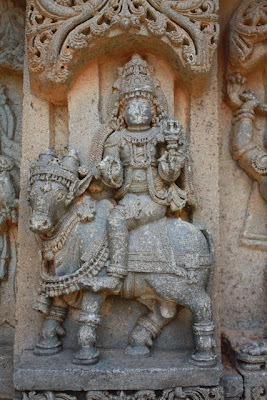 Siva carries an antelope in his left upper hand. 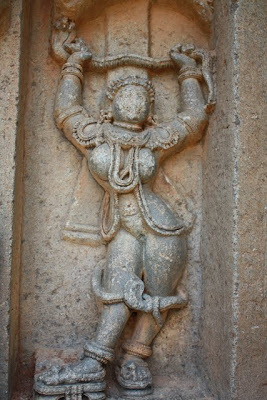 It is held in several ways. Shiva's antelope (Mrga) denotes his rulership over nature. Antelope/ gazelle / deer is an ancient Indus valley symbol of the lord of animals and of all living beings . 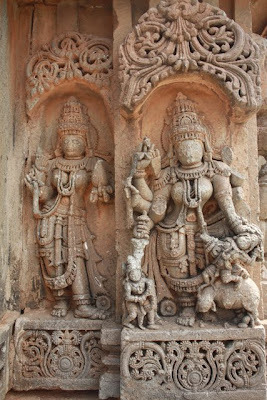 There are various depictions on the outer walls like the Betala (Demon), a beautiful lady, Lord Brahma , and many various forms of Shiva and his family. Since the temple was closed and the care taker who lived in a near by village was unavailable, we had to move on without seeing the inside of the temple. 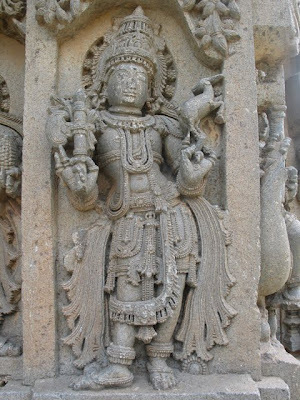 References used : The book "The Illustrated Dictionary of Hindu Iconography" written by Margaret Stutley. 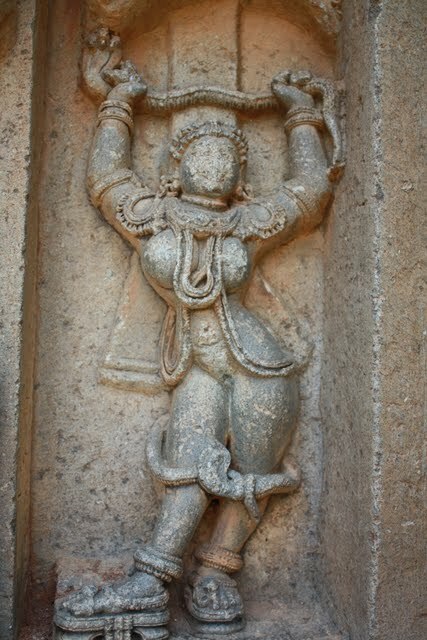 Another marvelous, fascinating post! 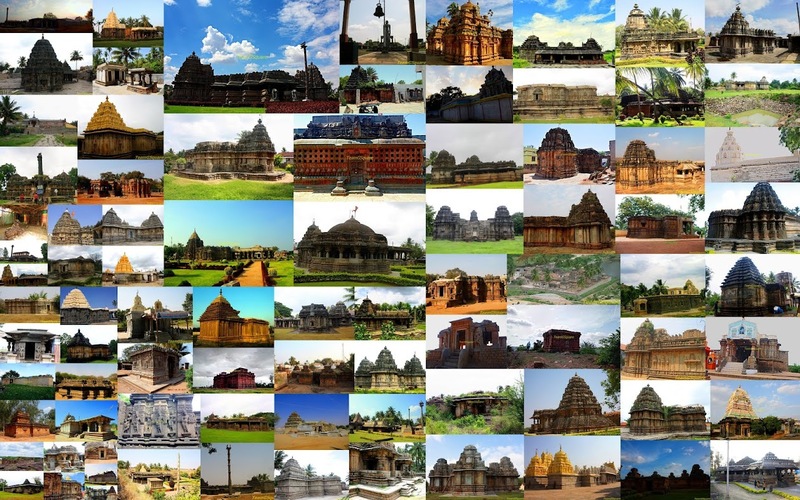 Always love the history that you include and your photos are superb! It is sad that it is mostly in ruins today, but it is still easy to see how magnificent it was!! Thank you! Enjoy your day! Beautiful... Never heard of Lord Shivas gajantaka form... The pics are just amazing. Such beautiful creations. The sculptors would have spent ages to create this beautiful filigree kind of work. Thanks a lot for this post. Very nice! you seem to keep discovering the not so popular places :-)...keep up the great work! 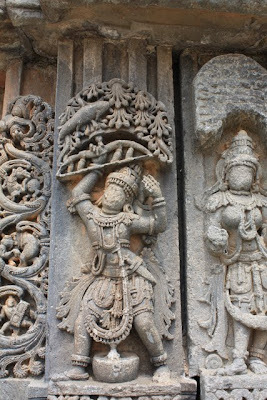 Very nice pictures..Hoysala architecture is amazing.. 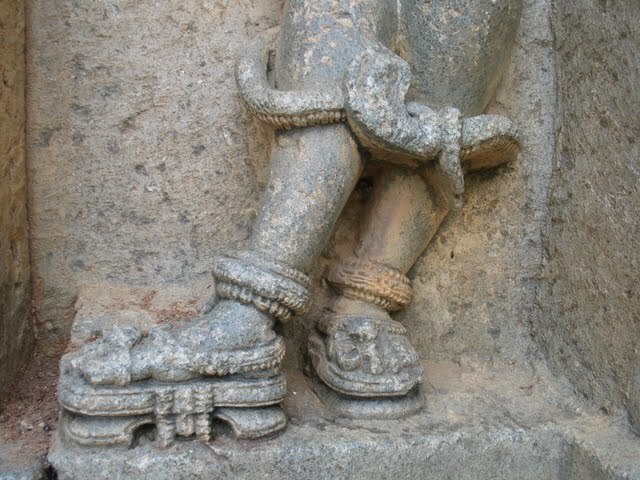 I don't seem to be tired of looking at their amazing work of craftsmanship..! 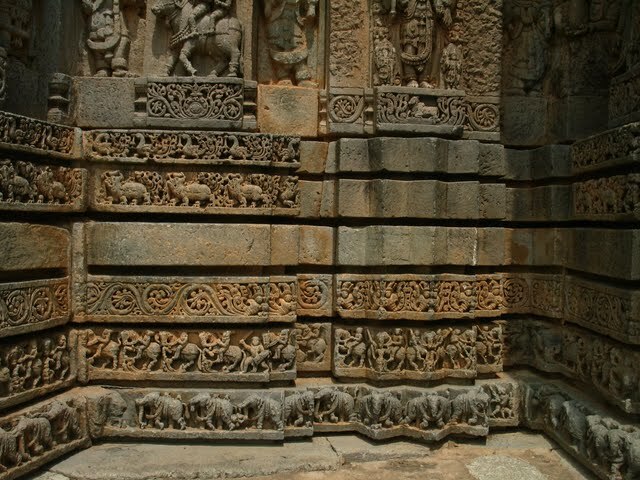 These carvings are so intense...how do you ever manage to find these stunning places in the middle of nowhere!!! 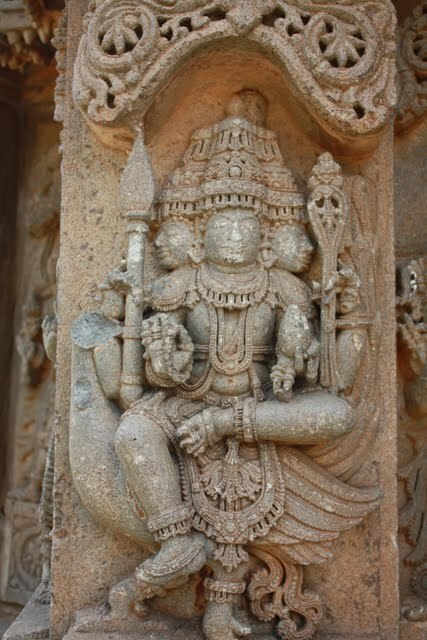 Amazing sculptures. This is definitely on my list. liked the details in the sculptures and beauty! Can we really not go inside? Beautiful photos and wonderful history lesson! I love your posts and am glad I'm following you. 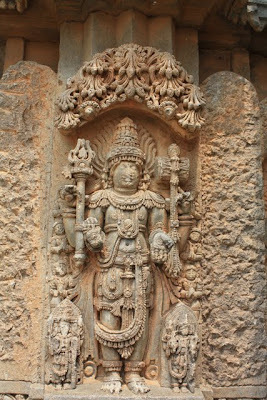 Yes Dhiraj many temples are locked and located in residential areas, we did pass by this destination but dared not to stay longer. Good find. 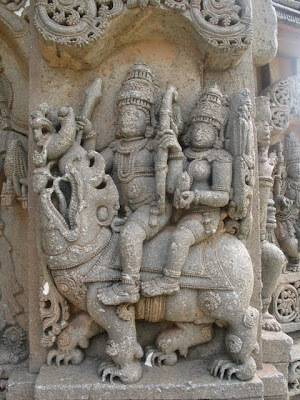 Sculptures identified here as Shiva on ox and on crocodile are of Eshana and Varuna the deities of the west and north-east cardinals. 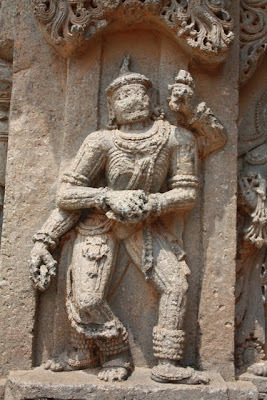 likewise the sculpture of Bethala is actually a sculpture of Bhringi, one of the Panchashambhavas, five attendants of Shiva. @ Manoj , thanks for the corrections . Seriously nothing can beat Hoysala in the intricacies!! !